Being aware of your rights and privileges and the ability to control your life in a more meaningful and fulfilling way is what empowerment means. This was the message delivered by human rights lawyer and women’s rights advocate, Sabrina Khan, at the recent launch of the ANGEL magazine, written by author Raveen Kumar in Lautoka. “Women have at times been unable to speak out about sexual harass­ment in the workplace due to shame, stigma or cultural constraints. How­ever, that is changing,” Ms Khan said. “Fiji is progressing where we have role models who have begun to speak out, we have powerful human rights organisations and myself who isn’t afraid or intimidated by anyone to speak up for justice where it’s due. Ms Khan is well-known for her suc­cess with human rights cases in Fiji and abroad. In January this year, this newspa­per had highlighted her bravery af­ter rescuing a woman from a violent man in an alleyway surrounded by men who appeared too afraid to as­sist. Mr Kumar said Ms Khan was an in­spiration to women. An empowering world is what ANGEL magazine pro­motes in Fiji with an emphasis spe­cifically on women’s empowerment. She spoke about the historical op­pression of women worldwide by what was seen as a male dominant world. 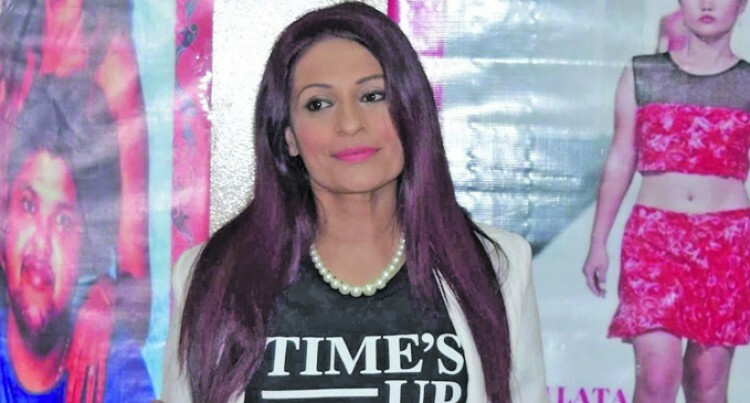 Sporting a trademark tee-shirt sup­porting the global campaign ‘Times Up’ at the launching, Ms Khan said the campaign addressed the sys­temic inequality and injustice in the workplace that have kept under rep­resented groups from reaching their full potential. The campaign is supported by American and British celebrities such as singer actor Justin Timber­lake whose recent tweet “No more accepting sexual harassment and in­equality at work as normal. It’s NOT normal. #TIMESUP” went viral. When asked why she had taken an interest in humanitarian issues pre­dominantly in Fiji and helping peo­ple where she has nothing to gain, Ms Khan said her inspiration came from both Mother Theresa and Julie Andrews. The magazine is a joint effort by Mr Kumar, together with restaurateur Xin Wei Li and family. The magazine is a tribute to woman from all walks of life and is a banner for empowerment, bravery, fashion, lifestyle and mentoring.